It is a pleasure to work with subhaakritee. Together we created our Office Interior Decoration! The interior designing, planning & decoration is just GREAT! subhaakritees and all the member are very cooperative and complying with all my wishes and needs and went further on then what is expected. Overall... GOOD JOB! subhAAkritee is a safe company to do our interior work, initially I was bit confused, but looking at their amazing work in website, I made my mind and contact with them. I had great experience with them so far. Their work is best rated in market, good quality. Their customer services are fabulous, I am really happy with subhAAkritee. - Udayan Chatterjee, Dream Residency. subhAAkritee has changed my life and my way of living. No wonder they have the perfect knowledge and skills in the field of interior designing and are the best in what they do. Their quality of work is outstanding and their design concepts are simply marvelous.It transformed my home into a paradise and I was very fortunate that I had approached them for renovating my home at the right time. The folks at the subhAAkritee is very creative bunch of Interior designing professionals with perfect sense of style and class. 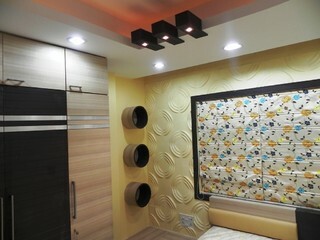 For designing my office interiors I had approached many interior designers before and was never satisfied with their work and was always disappointed. But approaching subhAAkritee was the best choice that I had ever made. At affordable price, their designers can give you the best design for your office interior that is very elegant. - Anup Jaiswal, Behala Diamond Plaza. I would advise anybody looking for designing their showroom interiors to approach subhAAkritee as they would never let you down. Their design concepts are absolutely incredible and marvelous. After reinventing my showroom my business has risen up enormously. As my showroom now looks so elegantly and magnificently designed, my showroom has been attracting more customers than before. Finally I would like to say, subhAAkritee is the best. - Sneha Dutta, New Alipore. We offer excellent salaries, great benefits and a friendly work environment with great potential for growth. We at subhAAkriteeTM are always lookout for talented, committed and enthusiastic professionals who thrive in a creative and friendly environment that revolves around a variety of work. SATYAM TOWER,BOMIKHAL, Bhubaneswar, Odisha 751010. Ajanta Para, Hirapur, Dhanbad. Jharkhand:- 826001. Phone No. : +91 6290-515-801 / 7980-913-189.